Cowbridge and Fancott Circular Walk at Toddington Walking RouteA circular walk starting at Toddington Village Green with fine views across the area. Start/Finish Point: This circular walk begins and ends at Toddington village green. Start Nat GR: TL 0099 2888. End Nat GR: TL 0099 2888. 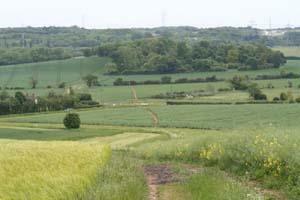 A circular walk starting at Toddington Village Green with fine views across the area.